Fall is in the air! It's my second favorite season (the first one is winter). I love it when the skies turn grey, the leaves turn orange and yellow and the first drops of rain clean the streets. 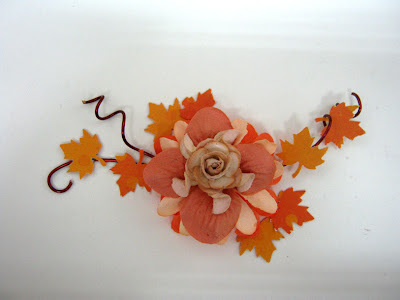 So, of course today's flower tutorial is going to be all about fall. 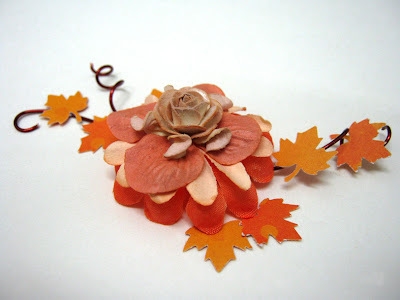 You can make this fall cluster for all your Thanksgiving cards and layout and you can make it in a larger scale as a center piece for your holiday table or to decorate the front door. 1. 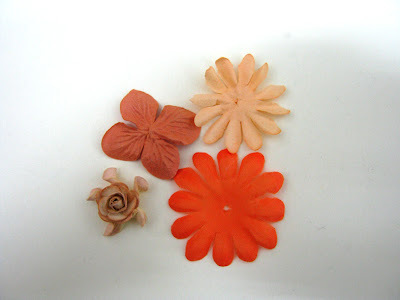 Take different size and color flowers and adhere them together. 2. 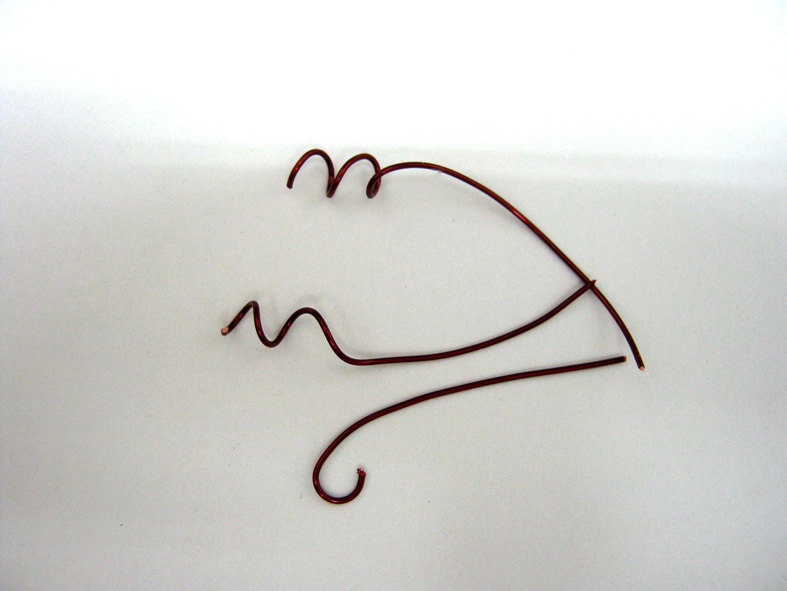 Cut pieces of metal wire and swirl the edges. 3. 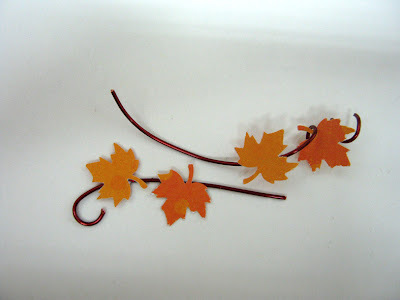 Punch or cut leaves from yellow and orange scraps of paper and attach to the wire. 4. Attach the wires and some more leaves to the bottom of the flower. Just stunning! 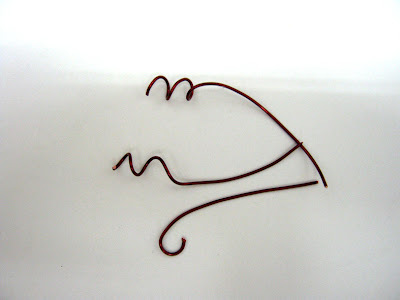 I look at less at Michaels all the time and they are so expensive, who would of thought they would be this easy to make. Thanks for the great instructions. עינת , מקסים ביותר . Very pretty! I love the color and the flow of the design.